Jim is a dedicated Certified Financial Planner™, and a Registered Principal with LPL Financial, one of the country’s largest independent Broker/Dealers* and Registered Investment Advisory firms. Jim has over three decades of experience providing financial advice. His primary areas of experience are planning for those nearing, or already in retirement, creating investment plans, and implementing income streams for those in retirement. Jim has been widely quoted in the financial press, including USA Today, Chicago Tribune, Chicago Sun-Times, The Daily Herald. Consumer Digest, Worth Magazine, Crain’s Chicago Business, CFP® Today, Morningstar 5-Star Investor, Financial Planning Magazine, Ladies Home Journal, The Journal of Financial Planning, and the Wall Street Journal’s Smart Money. 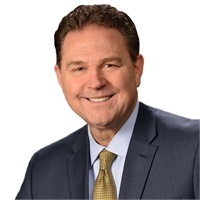 He has authored several financial planning articles and conducted financial seminars for major corporations and institutions, such as UOP, Motorola, American Dental Association, ADP Corporation, Encyclopedia Britannica, Quaker Oats Company, and United Airlines. He has appeared on WLS-TV’s “News View”, with Alan Krashesky, CNBC’s special edition “The Bull Run” and “Market Wrap", as well as CLTV’s “Making Money”. He has also appeared on a variety of Chicagoland radio stations, including WGN and WBBM, to discuss investment and retirement planning related topics. He is a licensed CFP® practitioner, Accredited Investment Fiduciary (AIF®) designee, and past President and Chairman of the Board of the Chicago Society of the Institute of Certified Financial Planners. Jim is dedicated to developing lasting relationships with all of his clients. He believes in helping you assess your financial goals and participate in the management of your finances.